Brouwerijweg 24, 4357 Domburg, Netherlands. 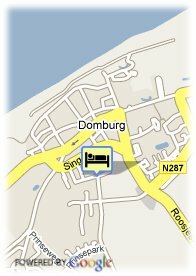 This hotel rests nearby Domburg's famous golden beaches, renowned for their cleanliness and waterquality, in a resort surrounded by sanddunes and woodland. Hotel Kijkduin has comfortable rooms in different price categories. 3 rooms are equipped with a kitchenette. In the morning, an extensive breakfast buffet is provided for you. You can relax with a drink and a light bite in the lounge or on the terrace which looks out onto the garden. The city centre and Domburgsche 18 hole golf course are just a short walk from the hotel. Beach, Forest, Centre, Near the historic centre. More than 30 days before arrival : no cancellation costs. Less than 30 days and more than 7 day(s) before arrival: 1 night will be charged. When the reservation has not been used and no cancellation has been made at the hotel: the first 7 nights will be charged. Children less than 5 years and more than 2 year(s) old: 10.00 € for each additional bed.